Based on off-season/lockout preparation and playing, as well as previous season performances and my gut feelings as a coach, I have compiled a ranking of all starting NHL goaltenders. I have two lists of 15 (each conference), and one list of 5 (my top picks overall). Look for the top goalies to be favorites for the Jennings’ Trophy and the Vezina. Even with a short season, these goalies will have their work cut out for them. Some will fade quickly down the stretch (see bottom tier), and some will stay hot, or hit a big stride after a few weeks (see top tier). Either way, this short season will be fun to watch. Thankfully it’s actually gonna happen. After the jump, notes on the top 5 Overall and more! 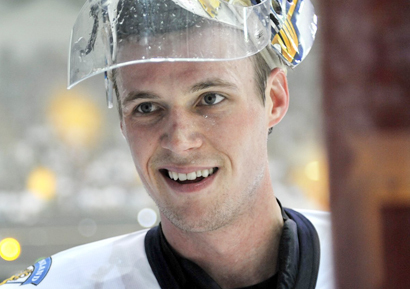 Pekka Rinne (NSH) – Pekks is my odds-on favorite for the Venzina already. Though his stats from his short stint in the KHL this season are anything but impressive (3.08 GAA, 0.897 Sv%, 9-11-2), his consistent performances over the past few seasons earn him spot in the top 5. What earns him the number 1 spot, however, is his ability to make saves most other goaltenders can’t, and do it night-in and night-out. Expect Rinne to steal a few wins for Nashville this year and help get them a high seed for playoffs. Henrik Lundqvist (NYR) – King Henrik is coming off a Vezina year, but an iffy playoff run. He spent the lockout with his wife and baby daughter (so adorable), while training both on-ice and off, waiting for a deal. Lundqvist’s ability to steal games and come up with unbelievable game-changing saves earns him this rank, as well as his track record of being the most consistent Ranger. Marc-Andre Fleury (PIT) – The Flower is a bit of a dark horse for me. His playoff performance was shaky, and frankly hard to watch. But his natural ability, winning history, and solid fundamentals help the Penguins maintain a strong hold of the high playoff seeds in the east. 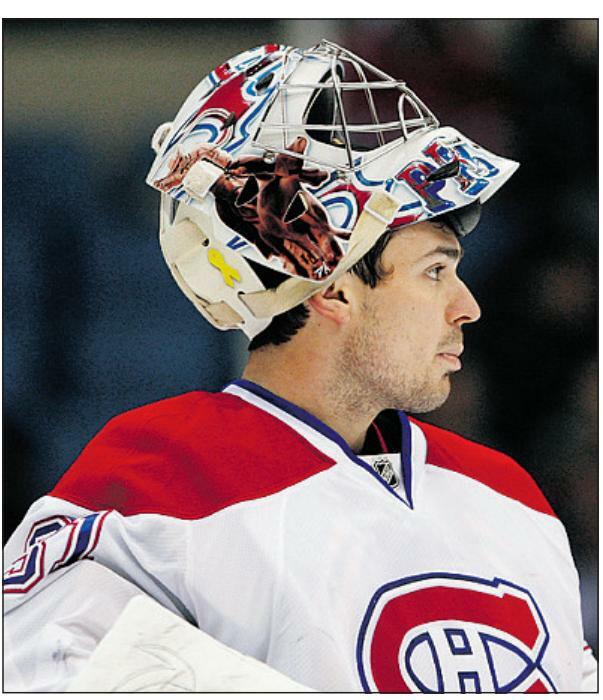 Carey Price (MTL) – The short season will be a blessing and a curse for Price, who always hits big strides in the opening, but fizzles to relatively mediocre near the All-Star break. Look for the Habs to make playoffs as a 5-6 seed because of Price, but see an early exit due to an ill-timed fade in Price’s game. Jonathan Quick (LA) – Some will say Quick deserves a higher spot on this list, but number 5 is essentially the perfect fit for him. 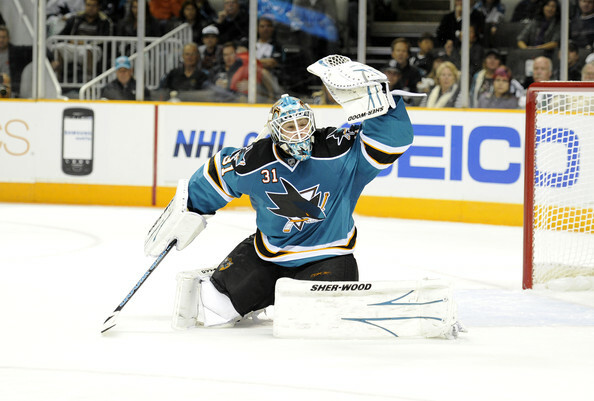 He is coming off a Stanley Cup year, a Vezina nod, and a Conn Smythe playoff performance. Though when it comes to the mindset of a young goaltender, his cockiness will likely cause him to decline in performance. There is a real possibility that he will be able to shake off the ego and play up to the bar he set last season, in which case I will be wrong, and Lundqvist and Rinne will have to guard their heels. Some may be surprised to notice I put Niemi, Hiller, and Kiprusoff at the bottom of the Western barrel, as it were. 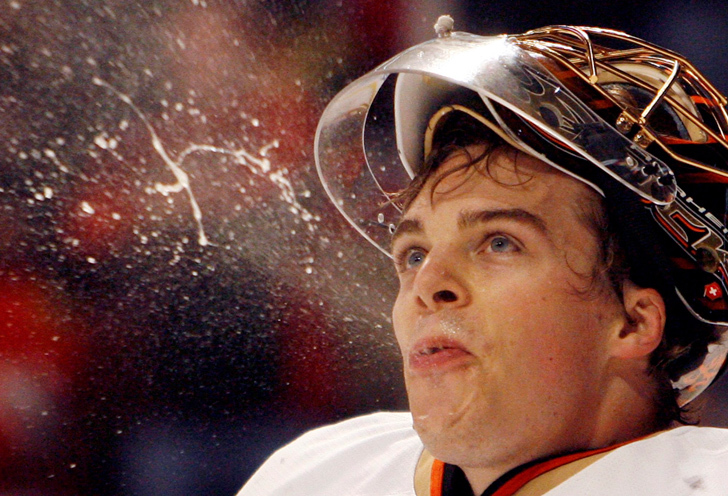 Simply put, these goaltenders constantly under-perform, and fail to live up to their potential on an annual basis. Niemi’s abysmal performance in Europe this season (which led to an early exit) reflects what his NHL season will likely be. Hiller is one of the most inconsistent goaltenders in the NHL, and a short season provides little time for rebounding, and forces goalies to be at the top of their game every single night. 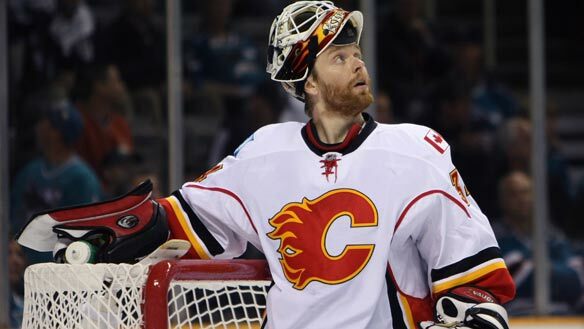 Kiprusoff has been mediocre, at best, over the past few seasons. Expecting him to do anything other than marginally well is frankly unrealistic. The East was a tight race, so the only real shocker there should be Theodore. Keep in mind that the margin between 14 and 15 is very small. Theodore is a great goaltender, but I don’t see him performing well with a diluted defensive core in front of him. He’s getting closer and closer to retirement age, and Theo is no Martin Brodeur. By no means does a goaltender’s rank on my list mean I think their team will make playoffs. Great goaltending only goes so far. My Eastern playoff picks, in no particular order, are: PIT, MTL, NYR, BUF, BOS, PHI, WSH, CAR. My Western conference playof picks are: NSH, LA, VAN, STL, DAL, CHI, DET, PHX. As with any shortened season, and even shorter training camp series, predictions are largely hit and miss. However, I do think my gut instincts about these goaltenders will prove to be more right than wrong. This entry was posted in Uncategorized and tagged Carey Price, Coach Lyssie explains it all, Goalie rankings, Henrik Lundqvist, Jonathan Quick, Marc-Andre Fleury, Pekka Rinne. Bookmark the permalink. 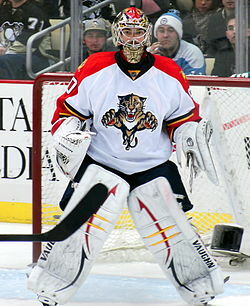 As a Leafs fan who’s absolutely terrified that we’ll get stuck with him, I thank you for not ranking Luongo. I thoroughly appreciate it that I’m not the only one who sees it. And sad that when Burke finally got the axe, it was for doing the right thing in not trading for him. Sigh. Just to clear the air on this issue, Vancouver stated that their number 1 goaltender for this season will be Cory Schneider, which is why I did not include Luongo in the rankings. If Lu was still the number 1 in Vancouver, I would rank him somewhere between 6 and 9 in the west. Disclaimer: Luongo is my favorite active NHL goalie. I do not think he deserves even a fraction of the hate he receives. He’s a superstar goaltender who doesn’t play like the other superstars in the league, which is why I think people don’t like him. I also think that’s why when he lets in a goal, it’s one other goalies would stop, but a lot of his saves are ones most goalies wouldn’t make. That’s all I will say on the matter. wahahaha Holtby over Cam Ward? Are you high? 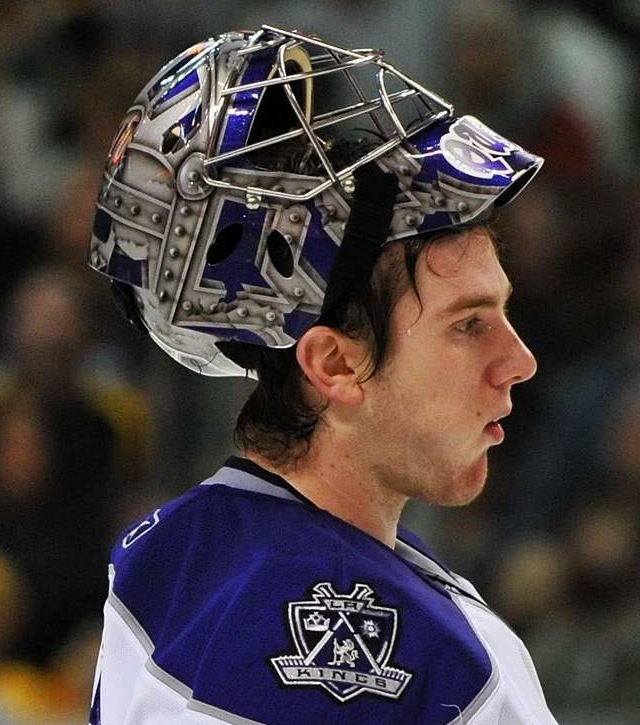 At the risk of sounding like a total homer, I have to defend Jonathan Quick. I don’t know where you get the impression that he’s cocky because in all the press I’ve read and from interviews with his teammates, he’s always giving credit for W’s to his team and giving blame for L’s to himself. It’s one of the reasons he’s my favorite King.